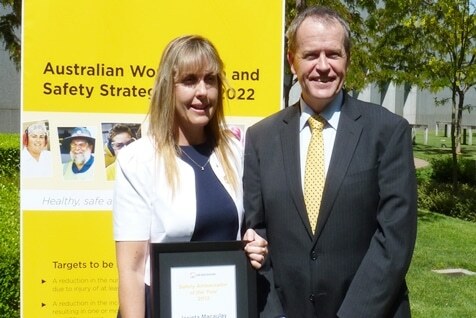 Launched in October 2012, the Australian Work Health and Safety Strategy 2012-2022 (The Australian Strategy) provides a 10 year framework to drive improvements in workplace health and safety in Australia. The basic premise behind the strategy is that every Australian who goes to work ought to be able to expect to come home safe. Building on the previous National Occupational Health and Safety Strategy 2002-2012, the WHS Strategy promotes a collaborative approach between the Commonwealth, state and territory governments, industry and unions and other organisations. With a vision of “healthy, safe and productive working lives” the strategy provides a direction for work health and safety issues for the next decade. The Australian Strategy sets out four outcomes and seven action areas to achieve the vision of healthy and productive working lives by 2022. So what does all of this mean for Australian workers? Ultimately a safer and more fulfilling working life as well as a responsibility to make work health and safety an important part of every working day. And for employers? Potentially more responsibilities in ensuring safer procedures and workplaces but, ultimately, happier, healthier and therefore more productive employees. Why not give Alsco a call to find out all the details. Act quickly!